Yes this soup is 100% plant based but yet so cheezy! So how can we achieve that creamy, dreamy, cheesy flavour without the list of scary ingredients? The solution…..nutritional yeast. Seriously, thank goodness for this stuff. 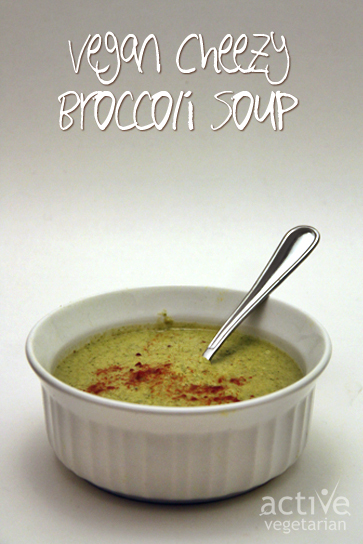 It’s a life saver in a vegan kitchen and adds the cheesy component to this delicious broccoli soup. I always keep some on hand for adding a cheesy component to all sorts of different recipes. It is an excellent source of protein and is therefore often used abundantly among the veggie crowd. Considered a complete protein containing 18 amino acids, it also contains a variety of minerals such as chromium, an important nutrient for maintaining balanced blood sugar levels. But Where Does This Stuff Come From? Nutritional yeast is grown on cane sugar and molasses. It is then harvested, washed, and dried into flakes. It takes on a yellow-orange-brown colour. After it is harvested, it is washed and pasteurized therefore guaranteeing that it is inert (meaning it won’t keep growing). Therefore, no need to worry that it will lead to yeast infections, and cause Candida. It has no relation to detrimental yeast growth. 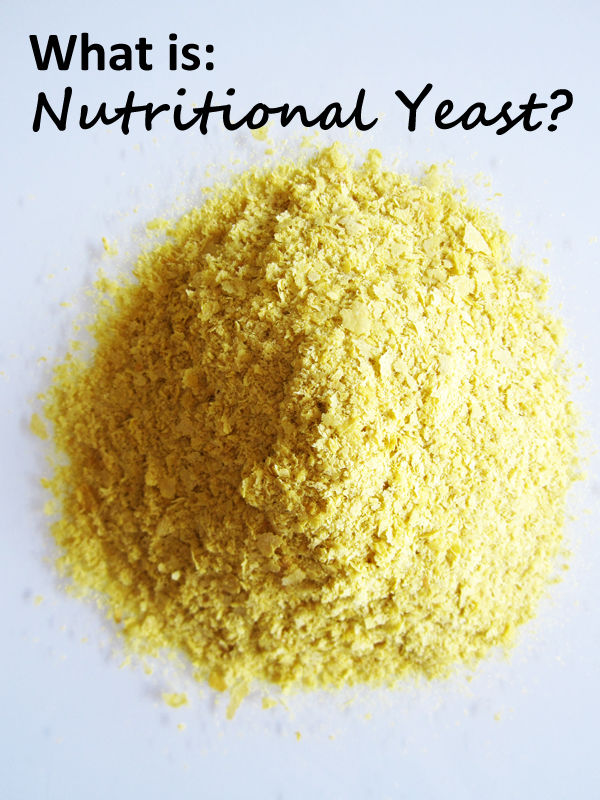 Nutritional yeast is particularly rich in B vitamins. These are the important guys for our energy production – they help in the metabolism of protein, fats, and carbs, meaning we can better use the fuel from our food, manage stress and keep our youthful complexion radiant. 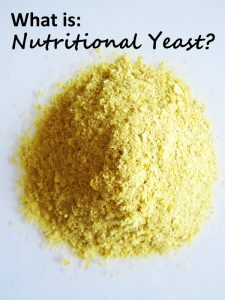 Nutritional yeast is a bonus for plant based eaters since many varieties are fortified with vitamin B12 (a nutrient only found on foods with faces). Nutritional yeast is beneficial for those dealing with diabetes and blood sugar issues in general. This is because it contains chromium, a trace mineral which is important in managing blood sugar levels. In a large pot, cook the onions in the coconut oil over medium heat for about 5 minutes. Add the garlic, salt, pepper and dijon and cook for a few more minutes. Add the milk, broth and broccoli. Bring to a simmer, cover and cook for about 20 minutes or until broccoli is tender. Turn off heat and stir in nutritional yeast and lemon juice. 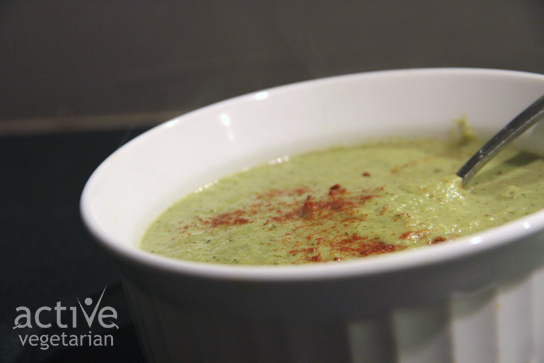 Remove the soup and puree in a blender. Pour it back into the pot and warm it back up. Makes 4 large dinner-sized portions or 8 sides. This is delicious. I’ve tried many of the recipes in the book and they are all good and not at all difficult but this one is amazing!